Today’s edition of Naturehas an article by Jerry Glover, John Reganold and Cindy Cox in which they explain, with examples from Malawi harmer Rhoda Mang’yana, how planting perennials can help save Africa’s soils. Rhoda Mang’yana’s half-hectare farm in Malawi produces more maize (corn) than her extended family of seven can eat. Some of the extra crop she sells. Some she feeds to pigs and goats, which she also sells. With the money she makes, she can pay her grandchildren’s school fees and buy essentials, such as soap and salt, that she has provided for her family since her husband died 15 years ago. As well as maize, Mang’yana’s farm supplies firewood and other types of animal feed. 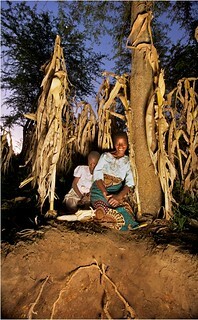 It is also resilient, providing enough maize during good years to pull the family through leaner ones. Key to Mang’yana’s improved land is perenniation — the integration of trees and perennials (plants that live for two or more years) into fields of food crops. Sub-Saharan Africa’s population is expected to reach 1.5–2 billion by 2050. Already the population is ballooning; in many areas, the risk of drought and flood is increasing; most soils are poor; and richer nations are buying up Africa’s arable land for their own food or fuel security. 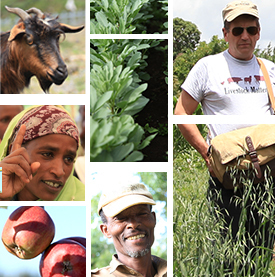 African farmers have demonstrated the promise of perenniation. It is time to scale up its use and put it firmly on the research-and-development map. Tags: africa rising, perenniation. Bookmark the permalink.